Audioslave : Audioslave CD (2002)Title: Audioslave Artist: Audioslave Genre: Rock/Pop|Rock Duration: 65.20 mins Format: CD / Album Type: CD No. of Discs: 1 disc(s) Studio / Label: Epic UK Release Date: 18 Nov 2002. Artist Interpol Title Antics Release Date 2004-09-23 Label: EMI Records Number of Discs 1. 1 9 Length Of Love. 1 7 Public Pervert. 1 6 Not Even Jail. 1 5 Slow Hands. 1 4 Take You On a Cruise. Format: CD. Silenced By The Night. Higher Than The Sun. Classic Artists. Nothing In My Way. Is It Any Wonder?. Won't Be Broken. Catalogue Number: 3751844. Queen : Greatest Hits II CD (1991)Title: Greatest Hits II Artist: Queen Genre: Rock/Pop|Rock Duration: 75.50 mins Format: CD / Album Type: CD No. of Discs: 1 disc(s) Studio / Label: Parlophone UK Release Date: 28 Oct 1991. Zoom > Honk - The Rolling Stones (Deluxe Box Set) [CD]. 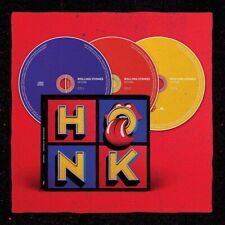 Product Honk - The Rolling Stones (Deluxe Box Set) [CD]. Fool to Cry - The Rolling Stones. Brown Sugar - The Rolling Stones. Rocks Off - The Rolling Stones. 2019 JAPAN PINK. HURTS 2B HUMAN. Hurts 2B Human featuring Khalid. ON APRIL 26 (RELEASE DATE IN JAPAN). Can We Pretend featuring Cash Cash. SONY MUSIC JAPAN. The Last Song Of Your Life. Artist Radiohead Title Kid a Label: EMI Records Number of Discs 1. 1 9 Morning Bell. 1 8 Idioteque. 1 7 In Limbo. 1 6 Optimistic. 1 5 Treefingers. Square One. Up All Night. Trapper Man - Mark Knopfler. Back On the Dance Floor - Mark Knopfler. Nobody's Child - Mark Knopfler. When You Leave - Mark Knopfler. Good On You Son - Mark Knopfler. My Bacon Roll - Mark Knopfler. Nobody Does That - Mark Knopfler. 100% ORIGINAL PRODUCT. My Last Breath. Buckcherry : 15 CD (2009)Title: 15 Artist: Buckcherry Genre: Rock/Pop|Rock Duration: 46.30 mins Format: CD / Album Type: CD No. of Discs: 1 disc(s) Studio / Label: EMI Music UK UK Release Date: 25 May 2009 Explicit Lyrics: Yes. Blackfield : Blackfield CD (2009)Title: Blackfield Artist: Blackfield Genre: Rock/Pop|Rock Duration: 36.50 mins Format: CD / Album Type: CD No. of Discs: 1 disc(s) Studio / Label: K Scope UK Release Date: 10 Aug 2009. Radiohead : Amnesiac CD (2001)Title: Amnesiac Artist: Radiohead Genre: Rock/Pop|Indie/Alternative Duration: 43.50 mins Format: CD / Album Type: CD No. of Discs: 1 disc(s) Studio / Label: Parlophone UK Release Date: 04 Jun 2001. Various Artists : Candy Candy CD (2013)Title: Candy Candy Artist: Various Artists Genre: Rock/Pop|Compilation Format: CD / Album Type: CD No. Disc 1 8 I Want Candy. Disc 2 1 Candy Girl. Disc 1 6 Video Killed the Radio Star. Title: Zaragon. Artist: John Miles. Format: CD. a UK #43 National Chart hit when first issued by Decca Records in 1978 as well as reaching the Top 10 in both Sweden and Norway. Item Condition: New and unplayed. Title: Ann Wilson Thing 2. Artist: Ann Wilson. Format: CD. Item Condition: New and unplayed. Genre: Rock. Good Charlotte : Greatest Hits CD (2011) NEW Title: Greatest Hits Artist: Good Charlotte Genre: Rock/Pop|Punk/New Wave Duration: 54.11 mins Format: CD / Album Type: CD No. Disc 1 7 The Young & the Hopeless 3.32 mins. Various : Essential 80's CD (2000)Title: Essential 80's Artist: Various Genre: Rock/Pop|Compilation Duration: 195 mins Format: CD / Album Type: CD No. of Discs: 3 disc(s) Studio / Label: Disky Communications UK Release Date: 10 Jul 2000. 1 The French Open. 10 Like Swimming. 9 Big Big Love (Fig. 2). 7 Heavy Water. Courtney Barnett & Kurt Vile : Lotta Sea Lice CD (2017)Title: Lotta Sea Lice Artist: Courtney Barnett & Kurt Vile Genre: Rock/Pop|Singer/Songwriter Format: CD / Album Type: CD No. of Discs: 1 disc(s) Studio / Label: Marathon Artists Limited UK Release Date: 13 Oct 2017. Do You Wanna Dance. You'll Never Walk Alone. Format: CD. Little Girl Don't You Understand. When You're Smiling. Because Of You. Label: Hallmark. Maroon 5 - Singles (Best of). 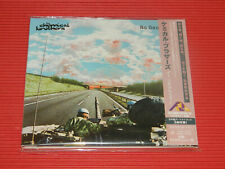 NEW CD (sealed). Wake Up Call. One More Night. 100% Original Product. 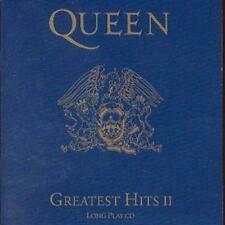 Artist Various Title Greatest Hits 1992 Release Date 1992-11-02 Label: EMI Records Number of Discs 2. Enya : The Very Best of Enya CD (2009)Title: The Very Best of Enya Artist: Enya Genre: Rock/Pop|Pop Format: CD / Album Type: CD No. 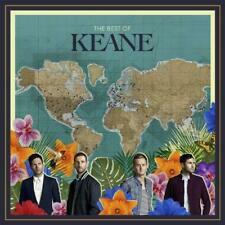 of Discs: 1 disc(s) Studio / Label: Warner Bros Records UK Release Date: 23 Nov 2009. Disc 1 20 Ms. Grace 3.24 mins. Disc 2 16 Hurt So Good 3.21 mins. Disc 1 21 Hold Back the Night 3.48 mins. Disc 2 11 Let's Stay Together 3.19 mins. Disc 1 11 Show You the Way to Go 3.29 mins. Disc 3 17 Where Do I Begin 3.10 mins. Digitally remastered edition. Technical Ecstasy is the seventh studio album by Black Sabbath, produced by guitarist Tony Iommi and released in September 1976. The band helped define the genre with a clutch of groundbreaking albums in the ‘70s. DICKIE ROCK. Coward of the County. THE BEST OF. How Could You Go. You're My World. Every Step of the Way. The Wonder of You. I Write the Songs. Nancy Sinatra : Greatest Hits CD (2003)Title: Greatest Hits Artist: Nancy Sinatra Genre: Rock/Pop|Pop Duration: 59 mins Format: CD / Album Type: CD No. 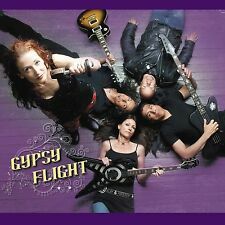 of Discs: 1 disc(s) Studio / Label: Paradiso UK Release Date: 14 Jul 2003. Lady Gaga : Joanne CD (2016)Title: Joanne Artist: Lady Gaga Genre: Rock/Pop|Pop Duration: 39.05 mins Format: CD / Album Type: CD No. 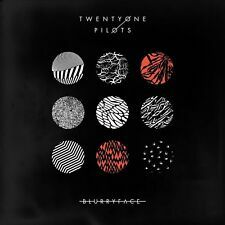 of Discs: 1 disc(s) Studio / Label: Polydor UK Release Date: 21 Oct 2016. Of Discs: 1 disc(s) Studio / Label: Kill Rock Stars UK Release Date: 01 Aug 2005. 1 2 One More Hour. 1 13 Jenny. 1 12 Dance Song 97. 1 11 Things You Say. 1 10 Buy Her Candy. 1 9 Not What You Want. 1 8 Little Babies. Love, in Itself - Depeche Mode (4.29). More Than a Party - Depeche Mode (4.45). Pipeline - Depeche Mode (5.54). Everything Counts - Depeche Mode (4.2). Two Minute Warning - Depeche Mode (4.13). The Lanscape Is Changing - Depeche Mode (4.49). Of Discs: 1 disc(s) Studio / Label: Epic UK Release Date: 02 Jun 2003. Disc 1 15 Twilight 3.37 mins. Disc 1 1 Rock 'N' Roll Is King 3.37 mins. Disc 1 13 Here Is the News 3.48 mins. Disc 1 12 Don't Walk Away 4.39 mins. Erasure : Loveboat CD (2000)Title: Loveboat Artist: Erasure Genre: Rock/Pop|Pop Duration: 44.50 mins Format: CD / Album Type: CD No. of Discs: 1 disc(s) Studio / Label: Mute UK Release Date: 23 Oct 2000. We're Looking For The Whales / The Weight Of The Wind / Maybe Maybe / Soft Rains Of April. ORIGINAL ALBUM SERIES. Here I Stand And Face The Rain. 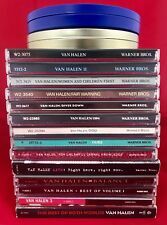 THE SET CONTAINS THE FOLLOWING ALBUMS. 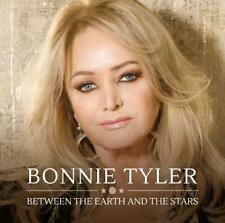 Lie Down In Darkness / How Sweet She Was / Lamb To The Slaughter / Between Your Mama And Yourself. A. Life Seeker. Heart Of The Sunrise. Yes – The Ultimate Yes. Owner Of A Lonely Heart. "I've Seen All Good People b. All Good People. I. Cord Of Life. 100% ORIGINAL PRODUCT. Of Discs: 1 disc(s) Studio / Label: Fat Wreck Chords UK Release Date: 07 Jun 1999. Disc 1 55 The Damned 0.31 mins. Disc 1 26 Enemy You 0.24 mins. Disc 1 62 Sick of It All 0.32 mins. Disc 1 7 The Living End 0.34 mins. Runrig : Heartland CD (1998)Title: Heartland Artist: Runrig Genre: Rock/Pop|Folk-Rock Duration: 50.40 mins Format: CD / Album Type: CD No. of Discs: 1 disc(s) Studio / Label: Ridge UK Release Date: 29 Oct 1998.